The Ickleford School Council is elected at the beginning of each year with one girl and one boy representative from each class. The children self-nominate and are required to stand up in front of their class and state why they would like to be a school councillor. The children then vote for their councillors following a democratic process. As you know the School Council is elected by you, for you. Every class in school is represented by our wonderful school councillors and they take great care in listening to your ideas. They pride themselves on working hard in all they do and are determined to do their best for you. Our aim for this part of the school website is to keep you informed of the activities the School Council and the councillors are involved with and to let you know about our future plans and ideas. As always we are busy trying to help make our school even better. We listen to your views & opinions and look for ways of putting them into action. Our regular meetings, class discussions and idea slips are just a few of the ways we listen to your pupil voice. Our School Council newspaper the SQC details the most recent news & events and includes what we hope are some interesting facts and fun features. Attached here is the most recent edition. What are we doing for you at the moment? We are currently trying to raise £300 to support the modernisation of the school library. So far our Christmas raffle has raised a large amount. We now are planning to hold a ‘table top tombola’ in the near future to add to the growing total. Meeting with the school Kitchen staff to talk about our lunches. We are planning to meet with our hard working school cook to talk about the meals her team provide for us everyday. Using Sainsbury’s Active Kids vouchers to buy equipment for Golden Time activities. SCQ newsletter. We are busy working on the new edition of the SCQ. We are planning to interview another special person linked to the school and also create some fun quizzes to keep your brains buzzing. 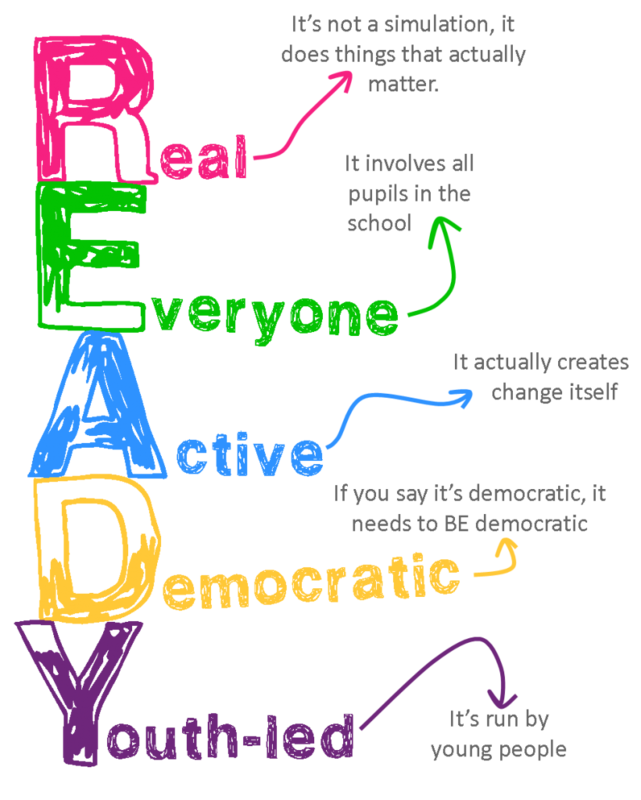 The Ickleford School Council is run according to these principles - we value what the children say and listen to their ideas.